Plot: With the resurgence of the Phantom Clan, the Five Fairy Alliance decides to recruit young martial artists from all over the world to find the Way Seeker, the chosen who will lead them in the battle against evil. Each with their own ambition, reason, and conviction, all participants battle against and with each other to obtain the sacred title. However, only one of them can become the Way Seeker. But, regardless of this, they all slowly learn to get over their differences and eventually become good friends and companions. And, as they continue to battle it out the title of the Way Seeker, their relationships continue to deepen and their bonds become much stronger. But they soon realize that the battle is going to be more difficult than they had imagined it to be. While some give up and others have died, many of them swear to not give up and keep fighting for the greater good. AlwaysZhenXin: I will not go into much detail about the drama itself because you can read that in my Review and First Impression pages, but I will tell you why I love this drama so much. First, I loved it because I liked the fresh new faces of the characters. Don’t get me wrong! I love the familiar faces in the C-drama industry, but it was nice to see rookie actors and actresses get a chance at portraying more prominent roles. Even though Tong Meng Shi has had quite a few lead roles so far, the other actors and actresses like Zhao Yue, Wang Xiu Zhu, Pei Zi Tian, and Wang You Shuo have yet to build up their career. And, quite frankly, I think they did a good job at portraying their characters. 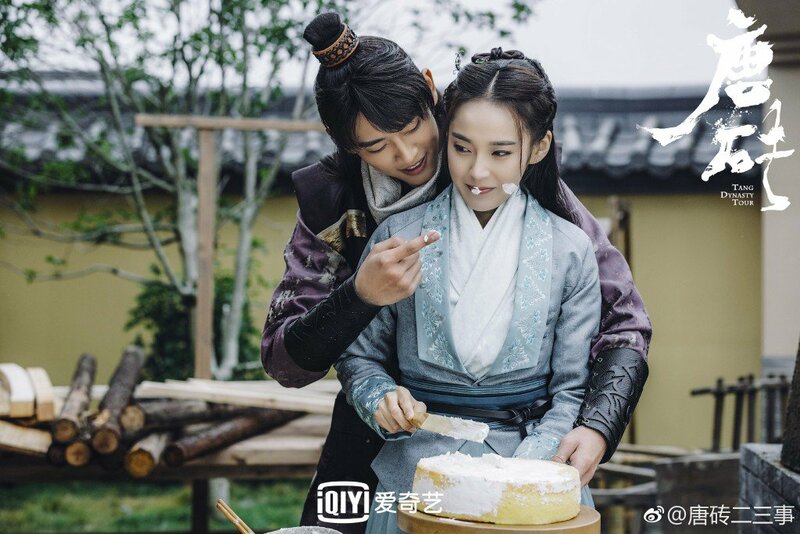 Although I think Zhao Yue was a bit stiff at playing the good-turned-evil Kun Lun, Kun Lun is still one of my favorite characters and I still secretly ship him with Fei Fei. Another reason why I liked this drama so much was the well-written story line. For once, the pacing of the drama made a lot of sense and connected all together (at least most of the time). Even though it got draggy sometimes (especially near the end), it was still pretty easy to piece everything all together. To be honest, compared to Legend of Chusen, I prefer this drama because the story line (to me) was just that much better. Plot: A young archaeologist gets transported to the early Tang Dynasty where he befriends the Crown Prince and falls in love with a princess that looks exactly like his deceased fiance from the 21st century. AlwaysZhenXin: From what I’ve found, there are no English Subs for this drama yet, BUT if you can understand a little bit of Chinese (like me), then you should give this a try because it’s a wonderful drama. It’s super adorkable and very easygoing. One of the reasons why I love this drama so much is because of the male lead. He’s the time traveler and a person who is unusually optimistic despite the fact that he’s literally in a different time period. However, he is very smart and easily adapts to the concepts and culture of the Tang Dynasty. But the main reason I love his character is because he’s very down-to-earth and he’s a sincere and loyal person. For example, he doesn’t fall in love with the female lead until a bit later because he’s completely devoted to his deceased fiance (who looks exactly like FL). And, it’s because of his sincere love towards his former love that makes the FL fall in love with him. But when he falls in love with FL, he’s completely devoted to her and does whatever he can to stay by her side to protect her. And he does it in a way where he still respects her and lets her do whatever she wants (because, you know, some MLs like to “control”, monitor, or stick their nose into everything the FL does). The way how FL falls in love with him makes sense because he’s probably the first man in her life to seriously be genuine and sincere towards her. I just love how she fell in love with him and it was sad to see him reject her a few times because of his love for his ex, but when he realizes his feelings for her and decides to pursue it, it was just sooooooo awesome! He really doesn’t hold back when he’s in love! Their interactions were so cute. Anyway, aside from the ML, I also like the FL. Not only is she a skilled warrior princess, but she is capable, smart, and very independent. When she makes a decision, she follows through with it and, most of the time, she doesn’t need anyone to do anything for her because she can do it herself. Maybe she is a bit stiff at times or too cold for some viewers, but I like her. She’s mature, knows what she needs to do, and does it without the care of others. Plot: During the 6th year of Qian Long’s reign, Wei Ying Luo finds her way to the Forbidden City as a palace maid to investigate the truth behind her older sister’s death. ChocolateCosmos: My initial impression was that this was a Yuzheng/Yumama production and I’m always wary of his productions (lol). Like most of his productions, the aesthetic of this drama was well done. Not too sure how accurate it is, but from my limited knowledge, it looks somewhat accurate. Anyhow, I enjoyed watching the journey of Wei Ying Luo going from an embroidery palace maid to someone serving by Empress Fuca who taught her so much and serves as an elder sister figure to her, and then finally as the favored Consort Ling. It was lovely seeing the bond developing between the two as Wei Ying Luo was initially wary of the Fuca siblings because she suspected them to be the ones behind her sister’s death. 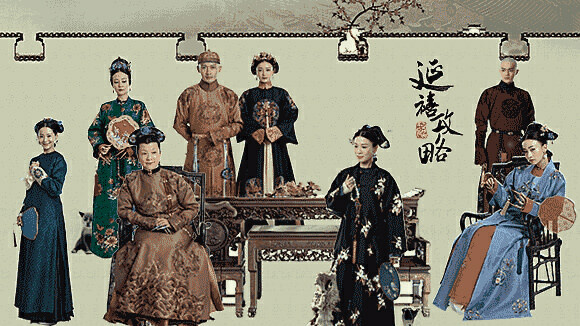 I was absolutely saddened with what happened to Empress Fuca and felt that Qin Lan has acted quite well in this befitting role despite watching so many palace dramas that are based on historical figures. I knew that Ying Luo would end up marrying the emperor Qianlong anyway, so I tried my best to not jump on the Fuheng-Ying Luo ship. I do think their first love story was poignant and memorable. I know some folks said the drama isn’t accurate with Ying Luo who was outspoken and sometimes brash. Eventually, she slowly developed as someone who sought to seek justice but in a more subtle way. She still kept her outspoken personality though. I know it’s unrealistic to have a palace maid be so outspoken as that trait might lead to her head falling, but I did go in to the drama not expecting much realism and because it’s a Yumama production, I tried to keep my expectations a bit lower. I enjoy seeing Charmaine back on the small screen again, and Nie Yuan as well. Overall, it was a fairly decent historical production, and I recommend it for those who love watching historical dramas (just don’t expect too much realism) and spunky heroines. Plot: In ancient times, the Flower Goddess dies after giving birth to a daughter named Jin Mi. She has a premonition that her daughter will suffer a great love trial that would cause her destruction. Thus before dying, she gives her daughter the Unfeeling Pill, a magical pill that prevents Jin Mi from feeling and expressing romantic love. The Flower Goddess ordered her subordinates to keep the girl’s birth story a secret and to imprison her within the Water Barrier for 10,000 years, hoping that Jin Mi will be able to avoid the love trial. Jin Mi grows up as a Grape Spirit as all plant spirits are forbidden to leave the Water Barrier. Chexmix: This is one of the few dramas that I actually finished this year. I haven’t read the novel so I really didn’t know what I was getting myself into when I started this. I just know that I was in for a Xianxia genre drama. The pacing in the beginning was perfect. Not too fast, but not too draggy either. Just enough to get to know the character as the story moves along. The story did feel a little dragged out toward the end (with all the tear-jerking moments and what not). I think it was the chemistry between Yang Zi and Deng Lun that kept me going, honestly. I just wanted to root for their happiness in the end and that’s exactly what we got! =D Also, absolutely love the OST of this drama! Fireflymaoh: I was a big fan of the novel and was anticipating this drama for a long time. It turned out good, even with a lot of deviations from the novel. To be honest, I was very upset with a lot of changes and shifts to focus more on the second male lead. However, the drama was still very enjoyable, and it was mainly due to good acting and great chemistry between Yang Zi and Deng Lun. I would say the first 36 or so episodes were great. Then it got really draggy and then the last ten or so episodes it picked up again. If you are a fan of Xianxia, then this is a must watch. It has really good world building, CGIs, and acting. This was one of the two dramas, I was able to finish this year. Like Chexmix said what keeps you going is wanting to see the main couple get their much deserved happy ending. I also loved the OST. It is now one of my favorites. Share what your favorite dramas this year are below! Mine was Meet me @ 1006, even when it isn’t exactly a Chinese drama since it is from Taiwan. And the 2nd Season of King of Blaze got me hooked recently. All other Dramas were okay but missed the bit that make me addicted. Nothing wrong with it since I’m picky and 2017 was a big year for me. Tang Dynasty Tour – Definitely an easy watch. Although the ML deserves to be buried in the tomb of “boyfriend who makes unforgivable stupid decision without girlfriend’s consent”, overall the drama is a great watch. Ashes to Love – Jinmi/Xu Feng win the adorableness in the earlier part. Runyun has all my love in the end. 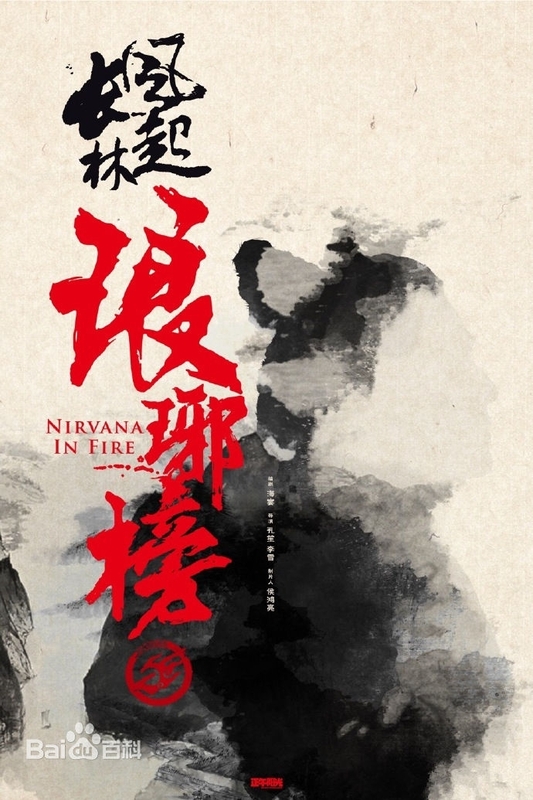 Nirvana in Fire 2 – It takes me some time to get into it. But once I’m in it, the eps flew by. Bloody Romance – I’m a sucker for 2nd ML who has insight in his own evilness. Xiang Long – I still can’t myself out of the Dragon x Lusheng x Yaya obsession. TOP – Love, love, love the FL and her poison chicken soup for the soul. I honestly don’t get the charm of Legend of Fuyao, Ever Night, or Legend of Yun Xi. I tried several times to watch them but an overwhelm urge to shut it down washed over me after watching 5 minutes. 1. Ever Night – caught me by surprise and it’s awesome. Love it so much that now I am reading the novels. It’s refreshing and the action scenes are amazing. Having a woman director, good cast (newbies Chen Feiyu and Song Yiren are wonderful) and lovely soundtrack too. 2. Legend of Fuyao – I really enjoyed it due to YM and Ethan’s amazing chemistry and the story was entertaining. YM has some epic scenes in this one. 3. 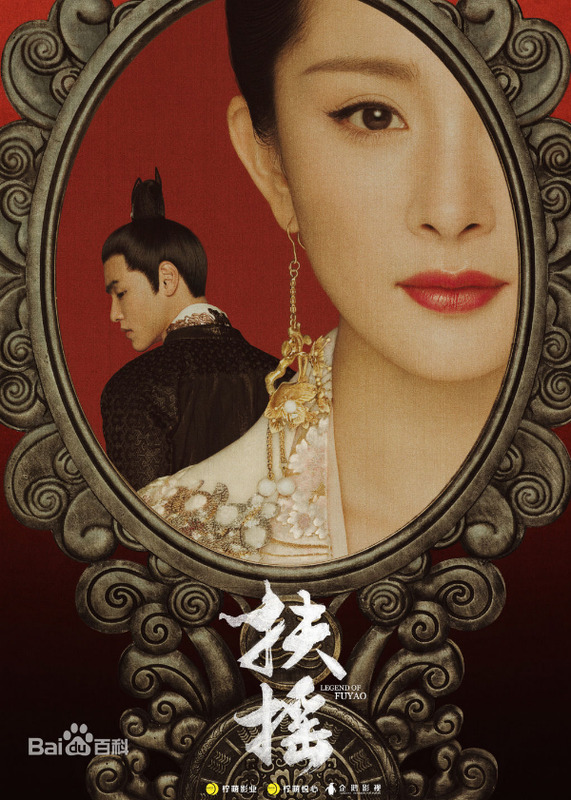 The Rise of Phoenixes – Despite being slow and changing soooo much from the novel (which I have read), I still enjoyed watching it completely. Nini was amazing and CK was solid. The costumes were soo beautiful too. Nirvana in Fire 2: The Wind Blows in Chang Lin was good as a sequel. A high quality production. Bloody romance deserves mention as a really solid production overall. Ever night is really stylish with really gorgeous scenery. The Untold Stories Of Tang Dynasty was solid too. It seems that web dramas are doing well this year for China. Probably because admins don’t watch it 😅 I’ve watched clips of it here and there before. I think it was alright. Both the male leads did a great job with their portrayal but I wasn’t a fan of the plot. Kind of a lackluster year for me. I couldn’t finish most dramas unless I start fast-forwarding through. The ones I watched most of were Story of Yanxi Palace, Nirvana in Fire 2, and Legend of Yun Xi. Ashes of Love had its moments although I’m not a huge fan of xianxia. Legend of Fu Yao was really underwhelming for me probably because of high expectations, dropped halfway through. Same with Ruyi’s Royal Love In Palace, although I couldn’t even get through the 5 episodes of that. 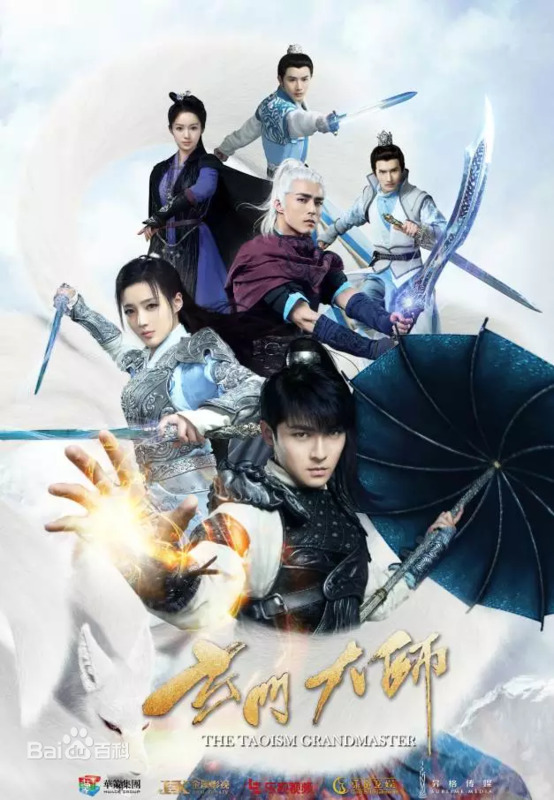 For me Legend of Fu Yao was superior, I don’t remember being that that much emotionally invested in any drama before. Heavy Sweetness could be better.I think main couple really saved the drama because story gets super draggy. I’m sad that screen-play was changed during production because we could have nice drama with less episodes but consistent story. I’m kind of traumatized after Ruyi so I don’t know if I wanna ever get into harem-wars dramas but maybe I revisit Story of Yan Xi Palace later. Totally recommend the re-visit of Yan Xi. I’m not sure if it’s exactly better wise than Ruyi in terms of harem-wars, but it does go by fast. I got invested in Fuyao a bit as I was searching up info to figure stuff out. But halfway, I couldn’t continue on as much. I’ll take Yan Xi in consideration though I don’t like drama’s monochromatic esthetics. Yea it was a bit draggy in some places. I skipped the parts that didn’t include neither of main cast. But Yang Mi and Eathan pull the drama until end so I was intrigued until the very last episode. It’s kind of sad they did the final episode awkward but I’m glad neither of main leads died at the end.